KWHammocks.com is not just another hammock web site, we also have a busy retail hammock shop in Key West, Florida. If you have never had the chance to visit Key West and look around, relax and enjoy the hammock shop please click on this link and enjoy an interactive tour . Our retail location gives our customers a chance to feel the comfort and see the quality of our hammocks for themselves, and as importantly, us the opportunity to listen to our customers positive feedback and see our hammocks in everyday use. We offer the same high quality hammocks online that we sell in our store, if you want to know how happy our customers are with these hammocks please read our customer’s reviews. 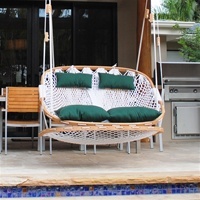 Hammocks are our company focus, to offer only the best quality Hammocks, Hammock Chairs & Porch Swings. We have rope hammocks from Pawleys Island, quilted hammocks from Hatteras, the largest selection of Mayan Hammocks anywhere and the incredibly comfortable Caribbean Jumbo Hammocks. We also stock a large variety of Hammock Chairs including the Jumbo Caribbean - the largest most comfortable Hammock Chair available. 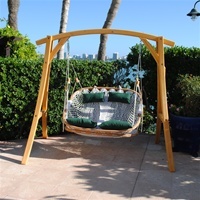 Excellent customers service 305-293-0008, next day shipping, secure on line ordering and easy returns so you can relax with the knowledge that you got the best deal on a great hammock.